According to the trusted medical website, WebMD, there are over 100 different types of arthritis. Some of the popular one is Rheumatoid Arthritis and osteoarthritis. 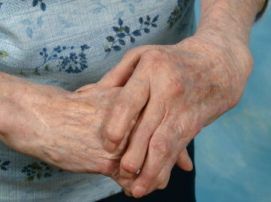 Rheumatoid Arthritis commonly attack women and involve chronic inflammation of the connective tissue around the joint causing pain, stiffness and swelling, while in Osteoarthritis there is a progressive wearing away of cartilage, the connection tissue thickens and any fluid which filling the joint will cause swelling, resulting in severe pain and reduced movement. In the United States alone, it is estimated that around 70 million people suffer from arthritis. The exact cause it unknown; it may be due to genetics, workplace conditions, age, or weight. Since there is no cure, the goal of treatment is to treat the pain; make the pain manageable. While most arthritis sufferers opt for a bottle of over-the-counter pain medication, you may want to try a different approach. You may want to try aromatherapy for arthritis. How does aromatherapy help your arthritis problems? For general joint pain, you can try easing the pain with 10 drops Eucalyptus Citriodora and 10 drops of Helichrysum with 5 ml sesame oil. Essential Oils has been used successfully for many years to reduce inflammation and pain in fibrous tissue around the joint and giving increased mobility. The most effective it applying those above oil above to the affected area or with compress. They can be apply with or without massage, although the massage can relax the muscle. A warm compress can also be used in relaxing the muscle and reduce the pain. If you want to apply those essential oils for a massage, don't forget to add carrier oils. Carrier oils that benefit arthritis and rheumatism when massage to affected are borage, flaxseed, hemp and sesame oil. Place the carrier oil in a clean container, add the essential oils and mix. Massage your joint and muscle as necessary to reduce the pain. Another good articles on Aromatherapy for Arthritis is Aromatherapy in the Treatment of Arthritis by Dr. Vivian Lunny, she also stated some case studies in her articles. You might want to try Joint care extract. This herbal extract will assists in the reduction of joint inflammation and arthritic discomfort.